Wine people seem to always ask other wine people to recall their most memorable wine, or their most exciting wine pairing . I always falter with the first, being lucky enough to have had many an amazing wine memories, but the second I have nailed down. I was in Genoa, Italy with my now-husband after we’d just missed our outbound train to Nice. We had just learned that driving in Italy has a learning curve and we were very far down on it. We found a hotel nearby, wandered the streets and settled on a lovely little restaurant, where we found a most agreeable sommelier. Ordering the local steak, he suggested we pair it with a Sauvignon Blanc from Alto-Adige. Sorry? Don’t you have a more suitable suggestion that might be RED? He asked us to trust him on this. To this day, that pairing is my most memorable. Simple, grilled, local meat and a delicious, local white wine. Not the pairing you would expect, but it was one that wowed. So it makes sense that the other night I found a similar delight. After the initial sticker shock of realizing how much I just spent on grass-fed NY strip steak at Whole Foods, my husband set out to find a suitable big, blustery Cabernet worthy of drinking with $50 steaks. But the Cabernet was just making the cut for me. So I poured some of the Sancerre we’d brought home and voila. A match. The Sancerre on its own had faltered a little too close to all grass, no fruit and a bit too acidic. One sip after the steak, the fruit coated my mouth, the acidity cut through the fat of the steak and the wine was twice as good as before. It brought me back to that time in Genoa, nearly 10 years ago, and reminded me that food and wine pairing is not a science, it is an art. And one NY strip may taste well with a Cab, but mine was shining with my Sancerre. Paired with: Super Bowl party fare – Guacamole, pretzels, dips & pizza etc. Review: The smartest thing I did yesterday was to take this wine to yesterday's Super Bowl party. This VERY good California Sauvignon Blanc helped me make it through a rough 15 minutes. Don’t let the 3 stars fool you, I don’t hand out very many 4 or 5 stars, so 3 stars to me means a fantastic wine that I can enjoy without having to worry about my wine budget. It’s my version of “Two thumbs up!” The best thing about this wine is that it proves that great Sauvignon Blanc can be produced in California. My biggest complaint about domestic Sauvignon Blanc is that it can be extremely tropical on the nose, thanks to our warm climate. Meaning it can be difficult to pair with food and a bit like standing next to a person with too much perfume on a crowded elevator. 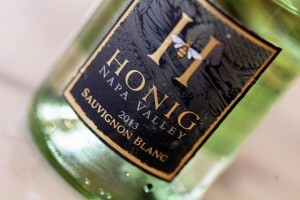 Hall has managed delicate grapefruit, guava and lemon aromas in a medium-bodied wine. There is a creaminess to it that ends with fresh acidity. In short, it is well-balanced and likely to impress a wide variety of palates. Although I went for the gusto and tried it with party food, I could see this going great with lump crab meat on a buttered roll or even gnocchi in a creamy white sauce. knowledge without trying every bottle I see. Attack Strategy #1: Scan the winery list. You might see wines you've always been curious about. in other words, a good value. I liked the 2008 Matua Valley Central Otago Pinot Noir. Mental note to self: Central Otago = food/wallet compatible. Attack Strategy #2 Taste the most expensive wines. This is often the best way to make sure your aren't disappointed later on. quite as fresh and fruity). Mental note to self: Martinborough is producing some excellent and nuanced higher end pinots. Attack Strategy#3 Experiment. Try the strangest wine you see on the list. Maybe it's from an obscure place or perhaps a variety you've never heard of. We tried a brilliant 2008 Bordeaux blend from the tiny island of Waiheke produced by Man O' War called the Ironclad. Mental note to self: Waiheke Island is on my radar for Bordeaux blends. would go for the 2007 if only because additional age rounds a wine out. Mental note to self: Don't fret over 2007 vs 2008 vintage for Central Otago pinot. Attack Strategy#5: Sample different price points. I like knowing what another $5-10 gets me. violence and more minerality. Mental note to self: These start fruity and crisp and increase in weight, minerality and complexity for just a few dollars more. Now get out there and start exploring!